It seems like half a lifetime ago that myself and Annick Janson established New Zealand’s first online community for innovators and entrepreneurs (ION). It was a clunky PHP forum site that we managed for hundreds of users thanks to the support of University of Auckland School of Business and Revera. After ten years and a couple of post-graduate research projects between us, we reluctantly moved on to other endeavours. But the need for a community platform did not go away. One of our first sign-ups on ION was a bloke working hard on building a little accounting software startup that you might have heard of. There was lots of great conversations on the forum and we helped a bunch of people. What we learned from our initial efforts in this arena was that valuable knowledge truly arises when you facilitate social engagement. In New Zealand we tend to work in silos, but only through collaboration can we create meaningful impact in the world. Online communities are part of the mix, because we need to push beyond the mindless dross of the big social platforms that do not have our interests at heart. I commend the NZ Innovation Council for this initiative and encourage everyone to sign up and get involved by sharing ideas and content. This entry was posted in Community, Entrepreneurship, Innovation, ION by Paul Spence. Bookmark the permalink. Thanks Paul for you kind comments and we acknowledge your role and contributions to our shared innovation ecosystem. It has been a long time in the making and we hope and believe this is the beginning of iterating and growing the relevance of this shared online hub for NZ innovators. 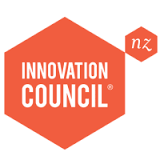 Best wishes Andy B and the NZ Innovation Council team.